We have just released the WPAdverts WooCommerce Integration 1.4. This is the biggest release for our WooCommerce Classifieds extension this year. There is a couple of features in the new version which was highly requested by our users. 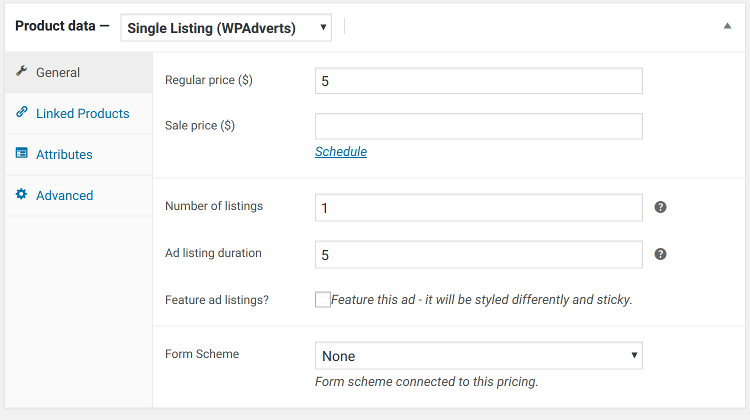 Once you select a pricing the proper form (that is the one assigned to the listing type) will load and you will be able to post an Ad as you previously could. If you are wondering how is this helpful, then i am here to explain. 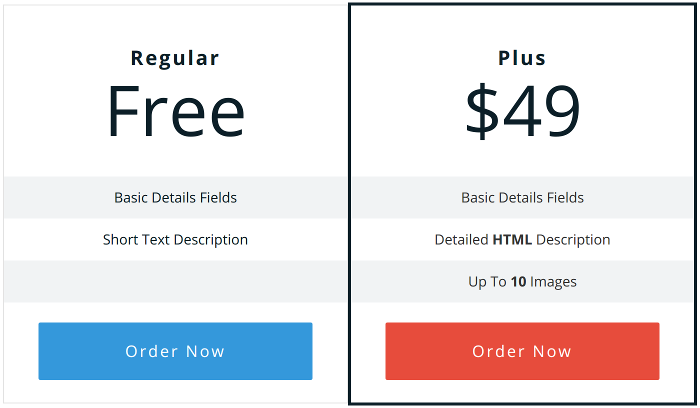 You can have a pricing type Regular which allows entering short plain text description and no images and a Plus listing type which allows entering detailed HTML description and uploading up to 10 images. Naturally, the Plus listing type will be more appealing to the user so he may decide to publish a Plus listing as he can enter more details and will have a better chance to sell his Ad, even though the Plus listing will be more expensive than Regular. With Pricing Table Plugin, WooCommerce Integration and Custom Fields extension it is up to you what will be included in each listing type and how you will present it to the user. The full documentation for this feature is available here. From wp-admin / Classifieds / Options / WooCommerce Payments panel you can enable Ads moderation. The moderation options are quite detailed. Free Ads – that is listing types which price is equal to 0, either because the Ad price is 0 or user used a 100% discount code. Paid Ads – any Ad which requires a payment this includes both paying for a single Ad and purchasing a package. Package Ads – you can put into moderation Ads posted using previously purchased package. 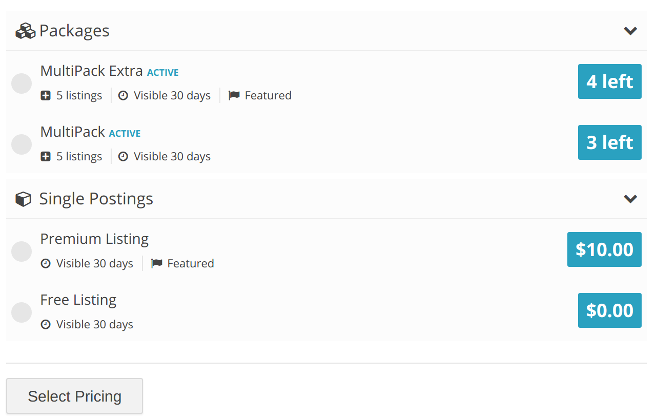 The new release should be visible within 24 hours in your wp-admin panel. If you cannot see it go to wp-admin / Dashboard / Updates panel and click the “Check Again” button.